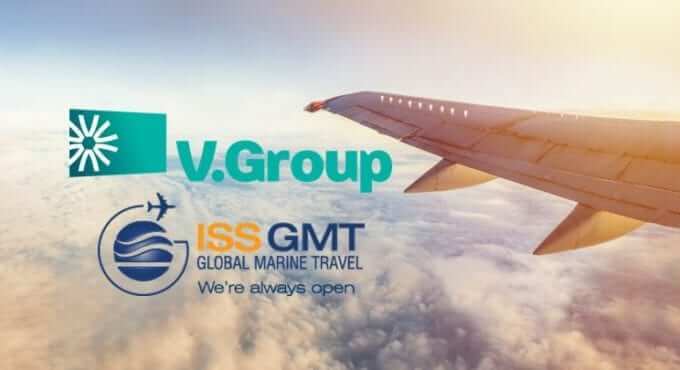 London, 13 February: V.Group, the leading global marine services provider, announced today that it has acquired Global Marine Travel (ISS GMT) from Inchcape Shipping Services. The move combines V.Travel with GMT’s industry-leading marine travel expertise and brings greater scale to the combined operations. Bringing together GMT and V.Travel increases the companies’ ability to offer truly global, 24/7 travel operations focused on delivering customer satisfaction. The combined resources of V.Group, V.Travel, and GMT will create a market-leading platform for managing and simplifying the seafarer journey from home to ship and back. This complements V.Group’s ‘Project Embark’ – which invests in the development of digital technologies that will streamline and enhance the overall seafarer experience. “We are delighted to have found a partnership that allows us to increase the scale, and invest further in technology and talent within our travel business,” said Elliot Gow, Group Managing Director, Marine Services, at V.Group.